How does a farmer’s son go from studying in a small village to being a tech consultant at one of the world’s most distinguished educational institutes? It hasn’t always been easy, but Ravi Suhag’s journey has taken him from Haryana’s Jhajjar District to consulting at Harvard University’s Evidence for Policy Design (EPoD). Despite hism humble beginnings, Ravi has achieved more than most people his age; he is an award-winning designer, developer, data journalist and entrepreneur. Ravi, who grew up dismantling and assembling technologies, did part of his schooling at a Hindi medium school in his village, but after developing an interest in electronics, moved to an English medium one to increase his chances of getting into an Indian Institute of Technology. Today, he has become quite a popular name in India’s technology sector. Over the last few years, Ravi has participated in 16 hackathons, of which he has won 14. Explaining these events, he said that hackathons are two-day competitions, where people come together, form teams or play individually, to test their programming skills. “There are many types of hackathons – open hackathons, organiser-led hackathons, etc. Participants try to code in a limited time, usually 40 hours, and present it to judges,” Ravi says. The concept of hackathons first intrigued Ravi in 2012, during his first year of electronics engineering. He won his first hackathon on grounds of creativity and the amount of work he completed. Gradually, winning hackathons became a habit. By 2014, Ravi was working as a tech consultant in Harvard University, designing and developing data tools for data driven policy making for governments. 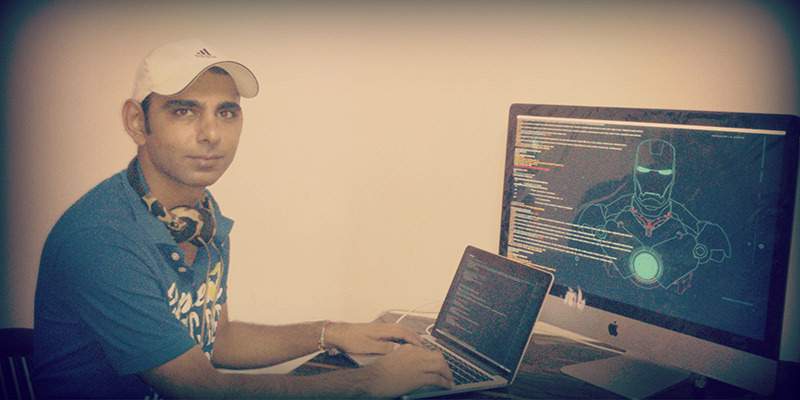 Apart from winning 14 hackathon competitions, Ravi has several other prestigious awards. Some of his more memorable achievements include winning the Festival of Innovation prize, which was presented to him by the President of India. Another notable title he earned - Health hack winner - was given to him by the Prime Minister of Netherlands. Ravi started his own company when he was completing graduation. But to help meet his financial needs while pursuing entrepreneurship, he worked as a tutor, marketer, sales-person for health insurance, designer, developer and data journalist. At the time, his long-term aim was achieving financial independence, and that pushed him to achieve more. “One of my goals in life is to build an open campus; people who want to learn different skills can come and spend around 6 to 10 months in that space and learn anything they want,” Ravi says. This open space will aim to provide training for technology, design, art, etc., and will be for people who do not want to restrict themselves to one field. Ravi Suhag’s journey is proof that it does not matter where you come from; because with determination and hard work, you can achieve anything you set your mind to. Did you know you can get your phone, laptops and tablets insured?